Marketing a service business is not the same as marketing a product. When marketing a retail good, you are selling a product that is tangible – an item that can be seen, handled and used. Consumers can gain information and evaluate the product based on what they see. Marketing a product focuses on getting the item to as many people as possible. You can sell and ship a product to any geographical area, as it allows for physical handling. Hence, broad marketing strategies designed to reach the largest possible audience like mass-market techniques, in-store promotions, and direct mail work perfectly for a product-based business. In a service business, you are marketing yourself – your expertise and capabilities, your reliability, and commitment to excellent service. Your service technically does not exist until the customer pays for it. Service is not a tangible good, so what you are selling is the promise to deliver what you set out to deliver. 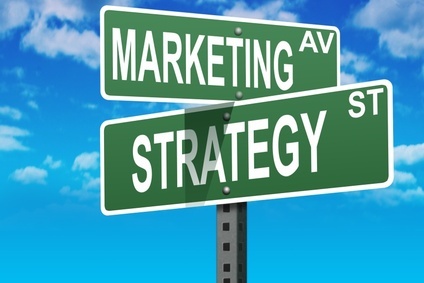 Your marketing efforts will have to focus on communicating that promise to your clientele. 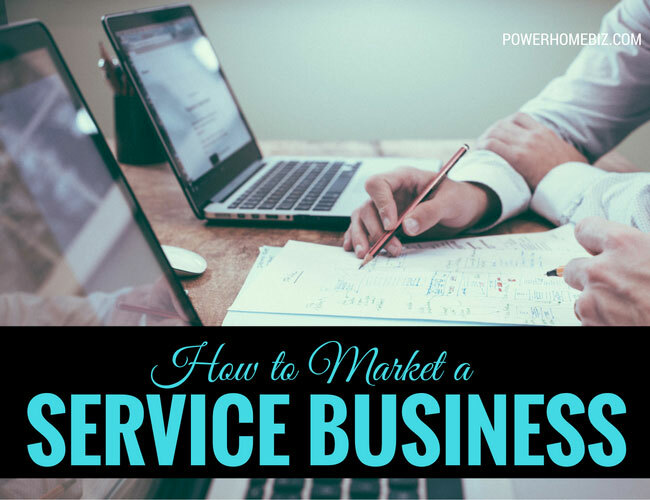 Mass marketing strategies do not work well with a service business. You are constrained by the number of clients you can service well. To please your clients, you can focus only on a select number of accounts or customers to sustain your business. If you decide to get as many clients as possible, there is a risk that you will spread yourself too thin that the quality of your work eventually suffers. A solo home-based web designer, for example, cannot mass market his services as he can only create a limited number of web pages in a day. A massage specialist can only massage a finite number of clients before her hands give up. A wedding consultant can coordinate a few clients at one time to ensure optimum service. The doctors and the dentists. too. The recommendation of a satisfied client or a professional colleague is often the most effective way of bringing in new clients. People tend to view recommendations from those who have previously used the service as highly credible and are more inclined to use the recommended service. Referrals, however, do not always come easily. Most often, you have to ask for it. If one of your clients seem satisfied with your service, request him or her to refer your business to their friends or acquaintances who may benefit from your service. To reinforce your request, you may give them promotional materials such as business cards or brochures that they may share with others. Other entrepreneurs even make it a point to reward those who refer a client to them. It may not be money (some professions frown on the practice of giving money for referrals), but a simple note or a small act of thoughtfulness to show your clients that you appreciate their effort to spread the word about your business. The authors define client relations as “consistent courtesy + common sense + professional dignity = effective client relations.” Clients will patronize your service repeatedly – if they are satisfied. It is, therefore, important to cultivate your existing client base and bond with them. Your beauty salon may not have the latest hairstyling techniques, but if you treat your customers well, you’d have a greater chance of seeing them back to your shop again. More than a product-based business, you need to practice excellent customer service every second that you deal with a client. Your business depends on it. Networking is the key promotional technique in marketing a service business, and participating actively in organizations is the best way to network. Joining an organization allows you to network with potential clients and industry players, increase your exposure to your community and professional colleagues, and even get new business. You can choose from the more general organizations (e.g. small business groups) with members coming from all walks of life or industry specific organizations. Your competitor, who belongs to the same organization as you, may be experiencing a surge in demand and direct some of his or her clients to you instead. Another member may refer your business to people they know who needs the kind of service you provide. Of course, you must make your participation in these organizations worthwhile by actively participating in the group’s projects and activities. Networking has been made easier with Web 2.0 social networking sites. LinkedIn.com or Facebook.com facilitates the meeting of potential clients, partners and strategic alliances. A good way to promote your business is to send letters or brochures to your target market. The key to success in direct mail is to reach out to the right people. An accountant I know watches out for the listings of new businesses in the Washington D.C. area published by a local business journal. He then sends a letter to owners of these new businesses offering his services. The business he generates from his mailings more than compensate for the yearly subscription to the publication. You also need to regularly send out mail to your existing clients, if only to remind them of you and what you can do to help them. Mailing to previous customers is an absolute must, whether you are sending them a quarterly newsletter or an announcement of a new service or promotions such as discount off the regular price of a service, etc. Another important tool in marketing your service business is a web site. For the price of an advertisement in the yellow pages, you can have a Web site that can serve as a brochure, direct mail piece and newsletter all rolled into one. The Web is an avenue that should never be ignored.